Marijuana for medical uses was legalized in 2008. Marijuana for recreational use became legal on Dec. 6, 2018. It is now legal for adults 21 and over to possess up to 2.5 ounces of marijuana. It is also legal to grow up to 12 plants per household. There are twelve federally-recognized tribes in Michigan. The DOJ marijuana policy on tribal reservations applies to these Michigan tribes. Each is federally recognized as sovereign by the Bureau of Indian Affairs in the U.S. Interior Department. For a complete list of Michigan tribes and their locations, see our page about Michigan Tribes. Michigan tribes recognize the challenges and business opportunities of the cannabis industry, but have not announced their interests or any business plans. The Bay Mills Indian Community is the first tribe in Michigan to legalize the recreational use of marijuana on its reservation. 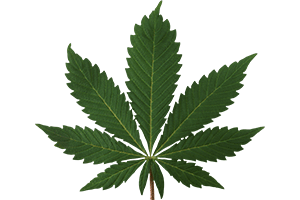 On April 8 the Bay Mill Executive Council passed a tribal ordinance to allow growing, possession and private use of marijuana for recreational purposes. This follows a favorable vote by the General Tribal Council last January. Provisions of the ordinance are similar to Michigan state law. The ordinance legalizes private use of marijuana, and prohibits public use. It also prohibits all commercial growing, processing or resale of marijuana on the reservation. The Bay Mill Indian Community is located on the Upper Peninsula about 15 miles from Sault Ste. Marie. The population is about 2,000. The tribe owns Bay Mills Resort & Casino in Brimley Michigan.